Graphic design, websites, logos, advertising, brochures, postcards, etc. Educational programming, format; news, music, public affairs. Open house 2-4pm, 1st Saturday of each month. Nation’s only hydropowered radio station. High quality, color journals printed annually and are distributed to tourist locations, Government Buildings, as well as in various sites in Jeffersonville and around the county.The Jeffersonville Area Chamber of Commerce sends the Journal to everyone requesting information about the surrounding areas. 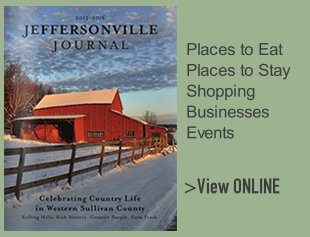 The journal provides a map of the area, a business directory of the members of the Chamber, Calendar of Events and many very interesting articles about the surrounding area and information about many tourist-related businesses. The next edition will be published May 2016. Deadline for advertising is March 31, 2016. An updated Advertising Form will be posted by September 2015.